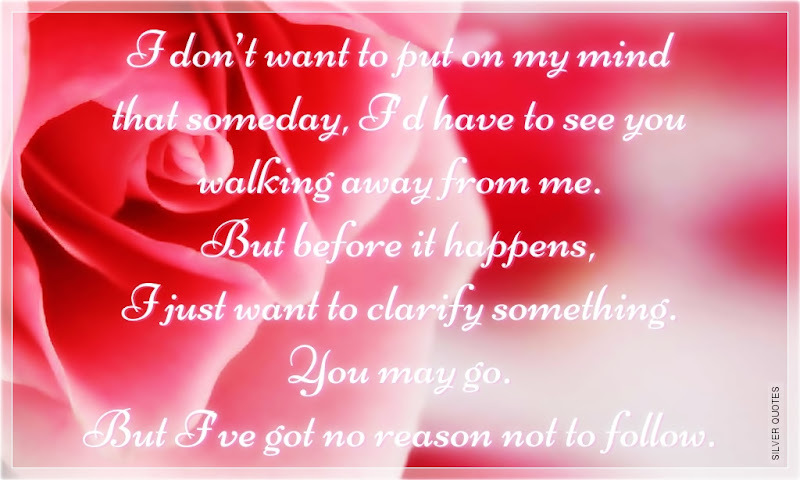 I don’t want to put on my mind that someday, I’d have to see you walking away from me. But before it happens, I just want to clarify something. You may go. But I’ve got no reason not to follow.